MAS Zengrange Ltd supplies world class military equipment proven during operational use in over 45 countries, across North America, Europe and Asia-Pacific. MAS Zengrange Ltd has the capacity to design, develop and support handheld computer systems and peripherals, analogue / digital RF remote initiation systems and interface units that support MAS Zengrange Ltd products and integration with a variety of other systems and devices. MAS Zengrange Ltd provides remote initiation devices to support a wide range of land and maritime domain military applications including demolition, explosive ordnance disposal and battlefield simulation. MAS Zengrange Ltd products provide proven, reliable, safe and secure transmitters and receivers to enable explosive and pyrotechnic initiation through various methods. MAS Zengrange Ltd provides a variety of systems including specialised designs for use by Special Forces. MAS Zengrange Ltd provides artillery & mortar fire control systems for use with artillery, rockets and mortars. The systems available can be employed as standalone fire prediction systems or integrated with a range of target acquisition devices and radios to provide integrated artillery and mortar command and control systems that link observers and commanders with various command posts through to individual weapon platforms. The company incorporates all elements of support required to meet customer needs including defence consultancy/advice, product supply, product service and repair, product integrated logistics support and product training. Company capabilities comprise of contract support staff in the commercial, quality assurance, integrated logistics support and programme management domains; supported by a multi-discipline engineering group focused on electronic, electrical, software, mechanical and system solutions. MAS Zengrange Ltd provides a coherent Support Solution Envelope (SSE) underpinning the delivery of a capability as opposed to just a product by developing and customising ILS packages supporting the Defence Total Cost of Ownership (TCO) model for the life of the capability. MAS Zengrange Ltd employs a system approach to training and has the capacity to conduct operator and maintainer training to support introduction into service and through life training needs. MAS Zengrange Ltd employs ex-military qualified instructors to ensure training requirements are met. Training can be conducted either at MAS Zengrange facility, the customers fixed based location or in the area of operations. 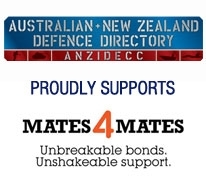 MAS Zengrange Ltd is a DISP accredited facility under the Defence Industry Security Programme provisions of New Zealand Defence Forces (NZDF) orders 51 series and Volume 7 Industrial and Projects Security. MAS Zengrange Ltd is certified Quality Assured to ISO 9001:2015 (Quality Management Systems) and is also registered in the United Kingdom with the Defence Quality Assurance Board as a Prime Contractor. MAS Zengrange Quality Management is applicable to design, manufacture and servicing of electronic military/security systems.